Thanks to Drive, Nicolas Winding Refn continues to be one of the most talked-about-without-actually-attempting-to-say-his-name-out-loud-to-avoid-potential-embarrassment directors around, and now he may be moving on to claiming the comic-book movie that is the obligatory rite of passage for every modern auteur. 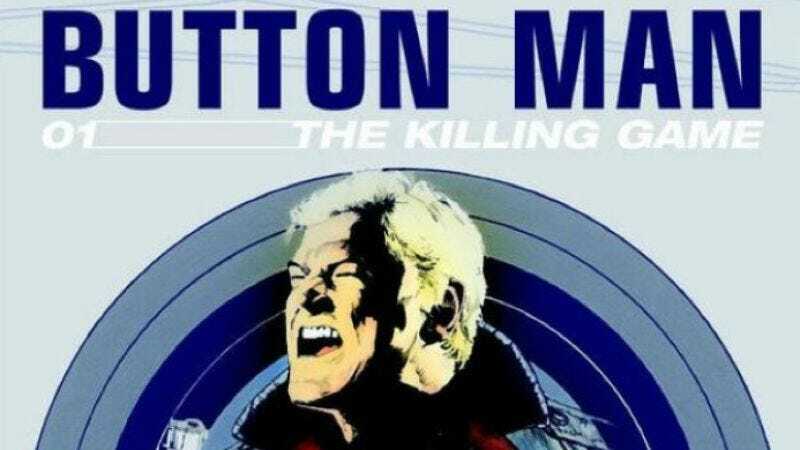 Fittingly, it's a somewhat obscure one: Deadline notes that Refn is in talks to adapt Button Man: The Killing Game, a graphic novel from the creators of Judge Dredd about a mercenary who tries to put a stop to a bunch of bored rich people pitting trained killers against each other in a death match. The material certainly seems like a good fit for Refn's classy, stylized way with B-movie violence, while the story should slot neatly into that Hunger Games-driven fervor for tales of millionaires killing non-millionaires for their amusement that also make for easy editorials. And considering the movie will require somebody to play a coolly confident man capable of violence, it could be yet another chance for Refn—who's already working with him on Only God Forgives and that Logan's Run remake—to do a movie with Ryan Gosling. Even though, looking at the cover art, we'd probably go with Brian Dennehy.